Since it was first rolled in the streets, many variants of cars released to the market. Ranging from single-seater models up to large-sized cars such as the dump-truck that can carry heavy goods up to tens of tons. Indeed, as a means of transportation, these vehicles can not be separated from humans. Even with unlimited creativity, emerged a few cars with the craziest designs that really exist and have or still used until now. Here are 7 vehicles with design craziest ever rolled in the streets. One of the cars with the most 'crazy' design that ever made is LCC-1 Sno-Train. 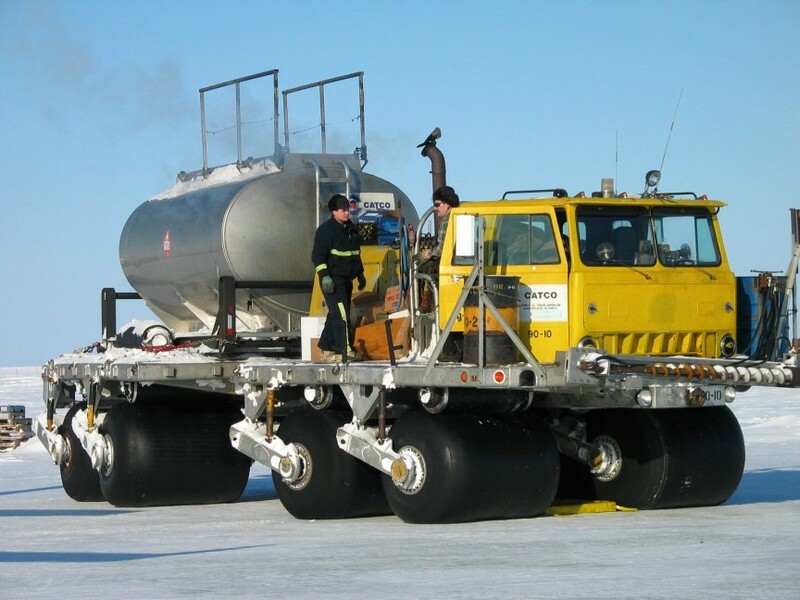 The LCC (Logistic Cargo Carrier) is US military vehicle that created to cope with the weather in the northern polar region. This car is made with 6x6 driving system with carrying the machine capable of producing up to 600 hp. 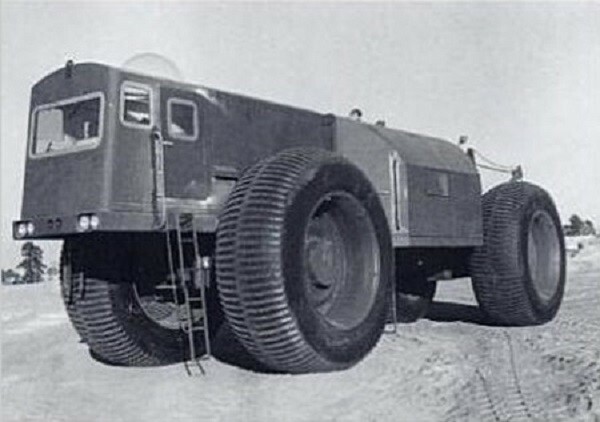 Equipped with big tires, the LCC-1 is capable of delivering the US soldiers logistics up to 45 tons each way. The snow is a problem for car driver, especially snow-covered roads have a high thickness. 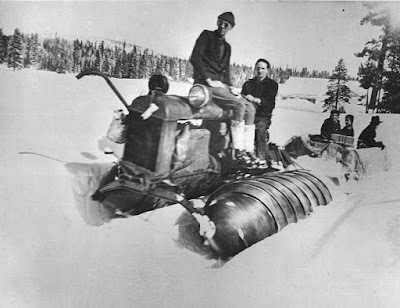 To resolve this problem, a group of mechanics in Northern California managed to make the snow conqueror car named Fordson Snow Devil. By modifying the Fordson tractor engine, the tires also replaced a similar driving drill tool that makes it able to move easily on top of a pile of snow. One of Ford classic cars, especially Ford Model B made in the 1930s had become a favorite of the European nobility. But the advent of World War II and thereafter make the Russian automotive manufacturer GAZ presenting an extreme version of this car named GAZ-VM. Unsparing, cars were released for the purpose of this war comes with the replaceable rear tires into snowmobile which allowed it to move almost in all road conditions from summer to winter full of snow. The car itself is said to have made more than 100 units during the second world war as a vehicle of the important people of Russia. Perhaps in your daily life often see truck expedition. Speaking expedition truck, then Alaska has a special variant. 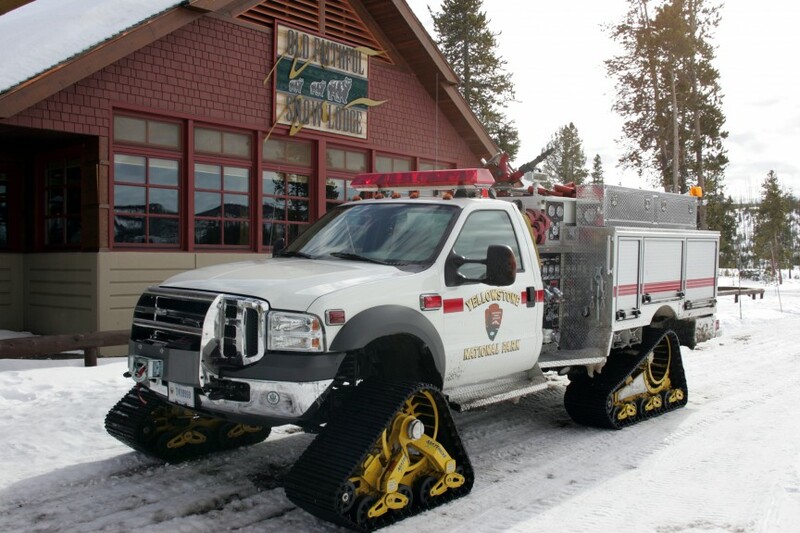 Faced with extreme weather and ice hostile terrain, Alaska has a special expedition truck named Rolligon. 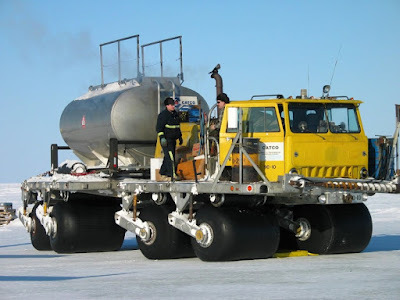 This vehicle replaces one of the hard rubber tires with rubber tires that can bulldoze the snow surfaces with more agile. The car itself was successfully created with inspiration taken from the Eskimo's transportation vehicle. With wheels made of an elastic tire, then the ice surface, a pile of stones, and even fallen trees will not hinder the pace of the car. 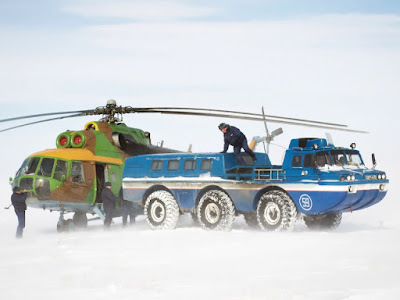 One vehicle mainstay of Russia's extreme terrain is ZIL 49061 Bluebird. Car with big tires and 6x6 drive system is able to bulldoze all road conditions. In addition, this car can also be amphibious so not only can go on land but can also turn into a motor boat when entering into the waters. Russia re-enter one representative vehicle in the row of the owner of the most 'crazy' design in the world. 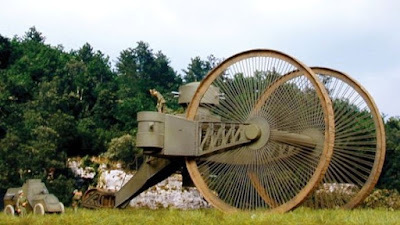 This time it is the Tsar Tank which combines the power of tanks with iron wheels and transporters everything for logistical purposes during the first world war. Has two giant wheel diameter of 27 feet, this vehicle is claimed to carry all the needs of the present war. But unfortunately, the large wheels became an object striking the opponent, so the Tsar Tank was never used in wartime. Requires ambulance for rescue missions in difficult terrain to reach? Mattracks probably could be a solution. The ambulance made by Minnesota-based manufacturer Karlstad is to replace the entire wheel with a drive system similar to conventional tanks.